I can’t help myself. Regardless of a return to 80 and 90 degree weather the calendar still reads October— my culinary roots have instinctively shifted to thoughts of autumn, the harvest, and stockpiling heartier foods for approaching winter. Like a squirrel salting away nuts for a rainy day, I’m busy brining and roasting more turkey wings than I’ll ever eat, and simmering pots of soup and batches of crystallized ginger. 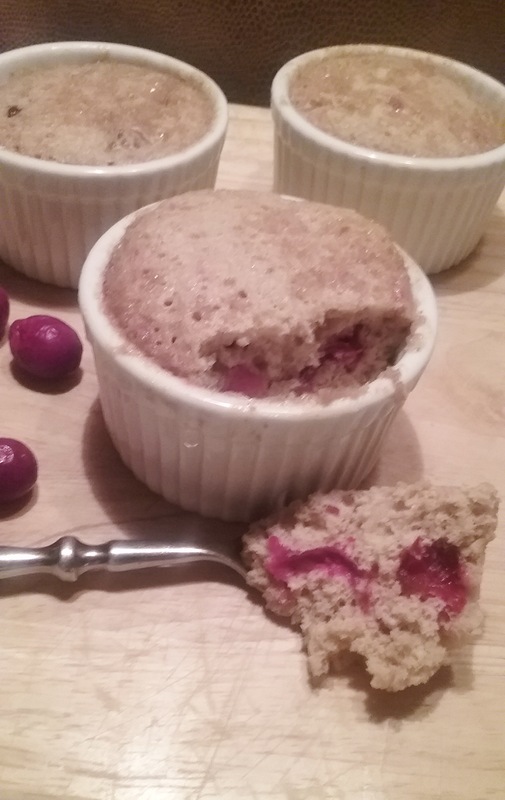 In this same spirit, I have been mulling over an old favorite recipe for bread pudding muffins and decided to give it an update. Back in the height of the low fat craze, I made a lot of these muffins. They used only egg whites (sans yolks, the presumed enemy), plenty of cinnamon, and only a sparse amount of butter, so it was easy to splurge when predictable cravings set in. It was a smart alternative to the real deal. 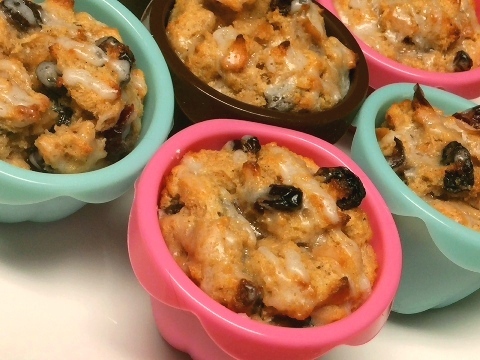 Let’s face it: bread pudding is pretty much bread soaked in flavored custard and baked. Omit the yolks, the heart of the custard, and this richly satisfying, unctuous pudding becomes a soggy, sweet, one-dimensional impostor. Of course, my renewed respect for the humble egg has caused a major shift in my approach to cooking and eating. Now, those earlier muffins seem like bleak compromise: low fat watered down imitations, an uneven swap, in lieu of robust flavor and quality. 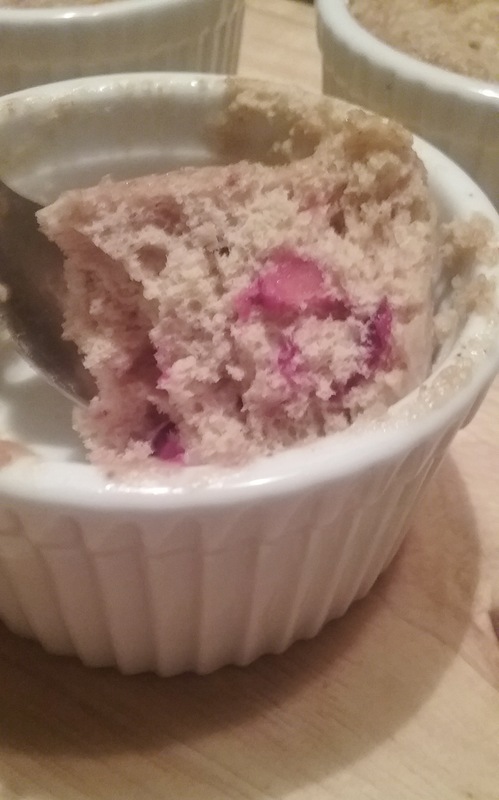 So, the results are in from my challenge to create a moist flavorful muffin with all the attributes of bread pudding, yet remain ever vigilant to realistic alternatives. In this case, one that is not ridiculously rich, can be picked up as a portable breakfast treat/snack, and can also be served warmed for a personal sized dessert. 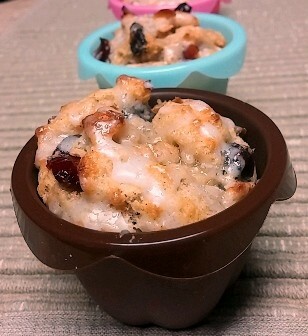 Good anytime muffin of cubed bread soaked in vanilla custard, enriched with warm spices, raisins, and dried cranberries, then topped off with a light coconut glaze. For substitutions, try crystallized ginger, dried currants, apricots or blueberries. Preheat oven to 350 degrees. Use silicone cups or fill 6 muffin cups with liners. Before preparing the custard, trim bread of excessively heavy crust, cut into ½” cubes, and place in a large mixing bowl. Separately, soak the dried fruit; melt the butter; and warm the milk. Prepare the custard: In a medium bowl using a hand mixer, beat the eggs until frothy and slowly beat in the sugar; continue beating at medium high until thick. Mix in the vanilla or rum; stir in the melted butter; then add the warm milk and combine well. Pour the custard over the bread cubes and stir with a large spoon to moisten evenly. Allow the bread to soak about 10 minutes. In a small bowl combine the cornstarch, salt, cinnamon, and nutmeg. With a tablespoon, remove one spoonful of warm liquid from the soaking bread and add this to the the cornstarch mixture, stirring to create a smooth slurry. Stir the spice slurry evenly into the bread and custard and add the macerated fruit. Mound the bread mixture into muffin cups and bake about 30 minutes, until set and lightly browned. Let cool on rack and drizzle with Coconut Glaze, or sift lightly with confectioners’ sugar. Yield: 6 servings. Coconut Glaze: Combine ¾ cup confectioners’ sugar, 1 tsp coconut oil or ½ tsp coconut extract, and slowly beat in 1 – 2 Tbsp hot water, enough to form a cohesive, thin paste. 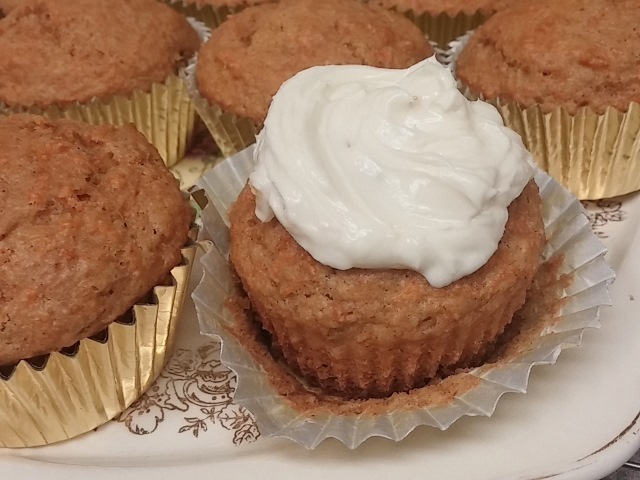 Drizzle with a fork over the tops of the muffins.